Automation is the trend, but many people have no clue how far it has gone. When someone says, curtain motion detectors, often a blank look is returned. But, if you are looking to automate your life for comfort and ease, curtain motion detectors are part of the process. How does curtain motion detectors keep you safe? Motion detectors are different. Many people do not realize the layers of safety that automation can provide. Tradition motion detectors have limits as to what they detect through sensors. 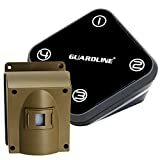 Curtain motion detectors monitor door traffic as well the areas you choose. 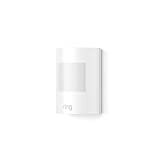 Curtain motion detectors such as The Honeywell IS216T-CUR qualifies as passive infrared, or PIR. The plane of the sensor covers an entire room if that what you deem as safe for you. The dimensions of coverage range from windows to skylights when you set them to your comfort level. The PIR uses infrared technology, upping the automation game and the dedication to keep you and your family safe from intruders. The ability to mount the curtain motion detectors anywhere you choose makes it an easy option when researching motion detectors in general. 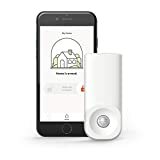 The plane of protection also assists in lowering the number of false alarms that you may get with other motion detectors. Are your sensors flashing red when you install it? If so, do not panic. Often, sensors are made to blink red upon installation as it powers up. The brief period of red panic lights gives you a chance to motion test the device before you mount it. Passive infrared, or PIR, technology, and microwave doppler radar detection are the two primary technologies used for motion detection. The PIR is the most common and uses sensors that rely on infrared technology. When the sensors detect a significant change of motion, the alarm is triggered to alert you of a possible intruder. You can change the sensitivity level of your curtain motion detector. Again, it is up to you as to how safe you need to feel in the confines of your home. Do you have pets? Often, false alarms becomes triggered by a cat or dog setting it off because of the sensitive setting. Two easy do it yourself preventions is moving where the detector is mounted, or make the space inaccessible to your pets. Again, you need to assess your sensitivity levels and perhaps adjust them accordingly if you have a cat who likes to climb curtains or a dog who jumps around when cars drive by your home. A motion detector may activate falsely due to the installation of the device above a heater or furnace. Movement of objects such as balloons, blinds, and curtains within the range of a motion detector may also trigger the alarm. Where there are trends, there are overwhelming options. How many degrees of sensor protection do you need to feel safe? How much will other’s free movement be in the detector’s view? Is the curtain motion detector for indoors, outdoors, or both? How often do you want to change the sensitivity level? No question is deemed silly or off the wall. Protect America is available to answer any question or concern you may have regarding your curtain motion detector. We also have trained technicians that will walk you through the setup, mounting, and testing that tricky sensitivity in your environment.